Antique hexagonal terracotta (fired earth) “tomettes” in mixed “Peachy-Red-Orange” blends, washed, sorted with really exquisite surfaces, ready to lay. 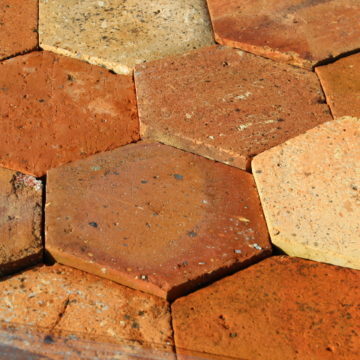 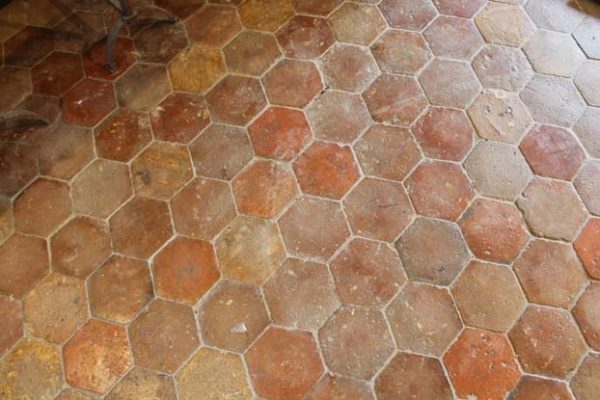 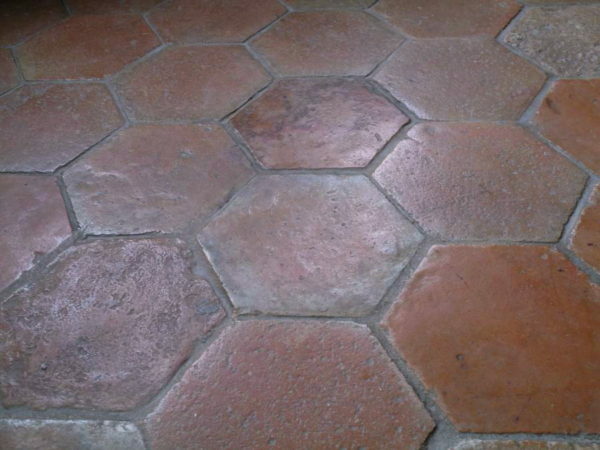 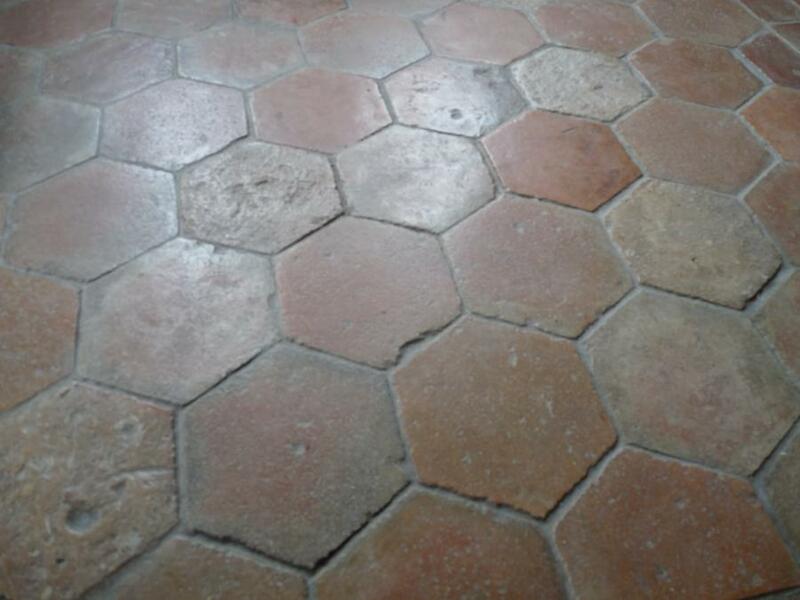 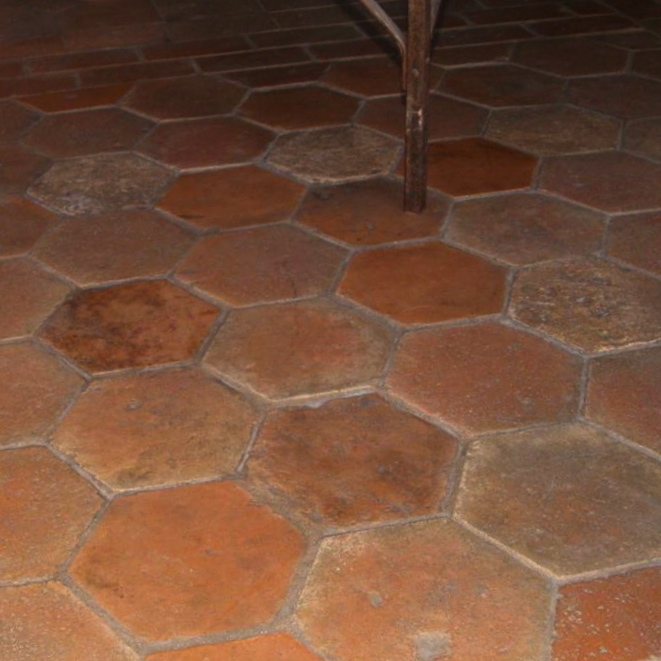 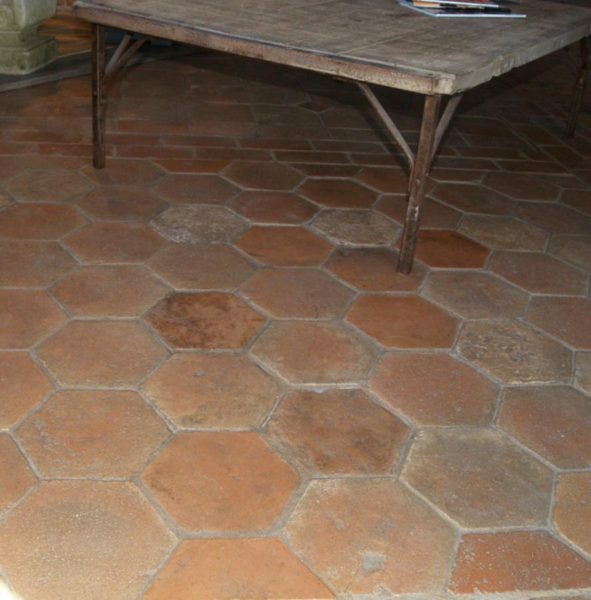 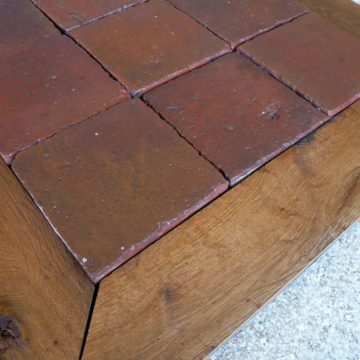 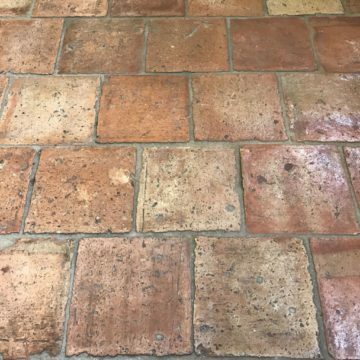 Reclaimed terra cotta French antique hexagons, permanent stocks available, contact us with your room size requirements so that we can match to current stocks. 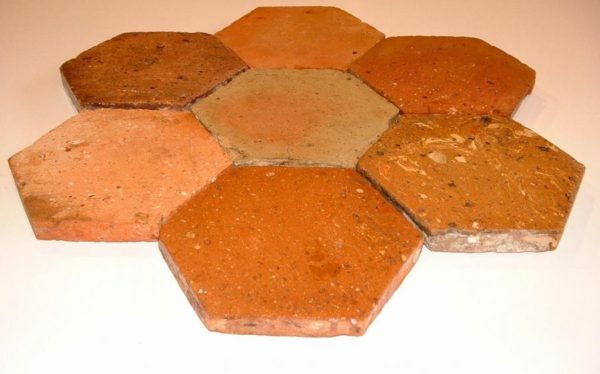 Metric dimensions: medium size formats eg: 15cm, 16cm or 17 cm across x thickness usually +/- 3cm. 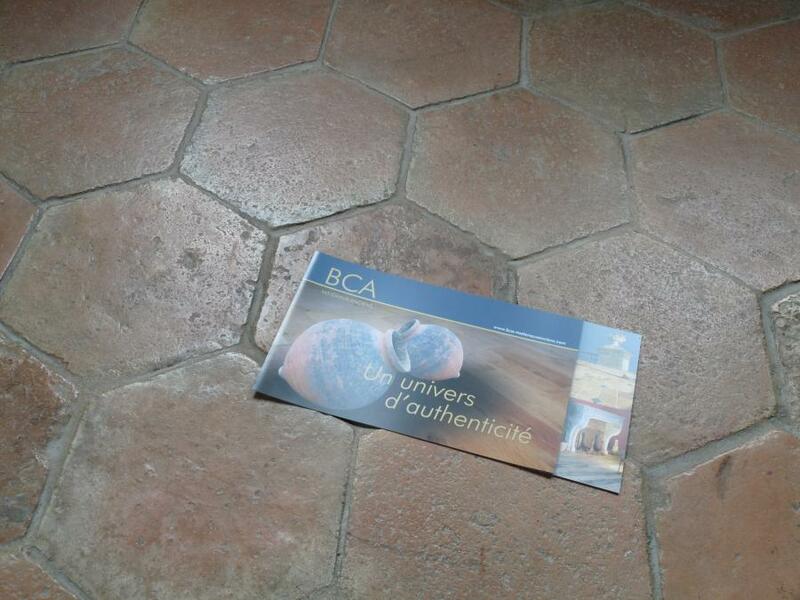 Imperial dimensions: medium size formats eg: 6 inches, 6.5 inches, 7 inches x thickness usually +/- 1.2 inch.